Feeling stressed and in need of pampering but only time to go for the day? 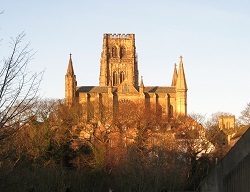 Historic County Durham has long been a popular destination for weary travellers over the last few hundred years with its many historical Inns and hotels. The Hall Garth Hotel near Darlington is a spa day venue that offers multiple spa days to suit every budget and is located close to Darlington for easy access. Historic in its own right, this 15th century manor house offers spa days that are just what you are looking for. If you require even more luxury and grandeur from a spa day, then the amazing Redworth Hall, set in 150 acres of stunning woodland, may just the tonic. Relax in the pool, sauna, Jacuzzi or steam room or drift away in one of the warm and serene treatment rooms with an intoxicating massage from a qualified therapist. Either of these hotels will look after your therapeutic needs, leaving you feeling refreshed and invigorated after a spa day at a County Durham spa hotel. Please call us on 0800 0122000 for advice or to check availability on any of our spa days. In addition all our spa days can also be purchased as gifts directly on this website.